Cybersecurity remains as one of the hottest jobs for 2017, both from a demand and salary expectation perspective. Globally there is a strong differential in pay scale between the various job function area with North American dominating EMEA, Latin America and Asia pacific by a strong margin. 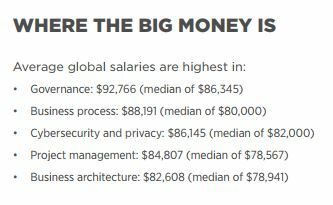 Cybersecurity nearly has top spot with an average salary of $112,000, and interestingly that this is 65% higher than the average cybersecurity salary in EMEA. Globally, ff we look at where average salary is highest (Pic 1B), we see Governance first, followed by Business Processes, and Cybersecurity third. While Cloud Computing may be more in demand across North America, elsewhere the salaries do not match and the reason for this could that these regions are behind the Americas and EMEA in terms of infrastructure available to serve the market with Cloud services. What about the various Certification Bodies? ISACA’s CRISC (Certified in Risk Systems & Control) and CISM (Certified Information security Manager) has No. 1 and 2 spot, with AWS Certified Solutions Architect, the famous CISSP (Certified Information Systems Security Professional), and finally ISACA’s CISA making up the remainder of the top 5 spots. 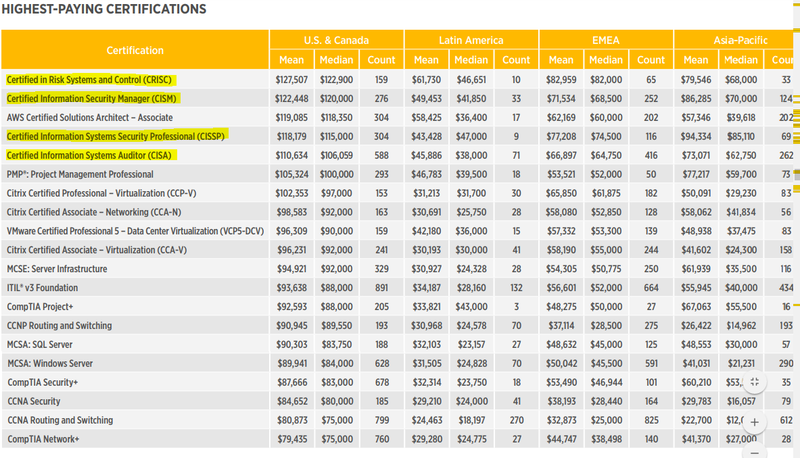 Again we notice North America far in front of the other regions on salary demands (pic 2a). Cybersecurity holds 4 of the top 5 highest-paying certifications, and what we anticipate in seeing over the next few years is the raise is specialist technical certification tracks like the Certified Ethical Hacker for example, which is a fast growing Certification in the penetration testing ethical hacking space. Where is the all talent at? 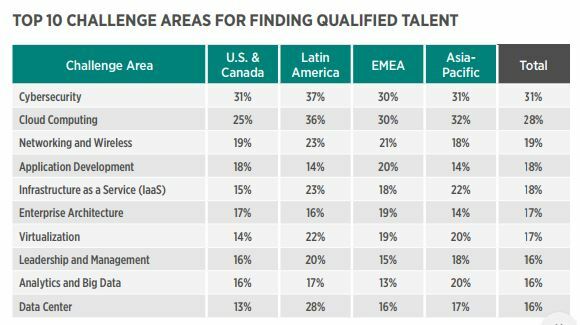 Cybersecurity is revealed as the number 1 area which is hardest to find qualified talent (pic 3a). With current demand for jobs outpacing supply, many high profile and mid level enterprises are are finding it difficult to acquire top talent. 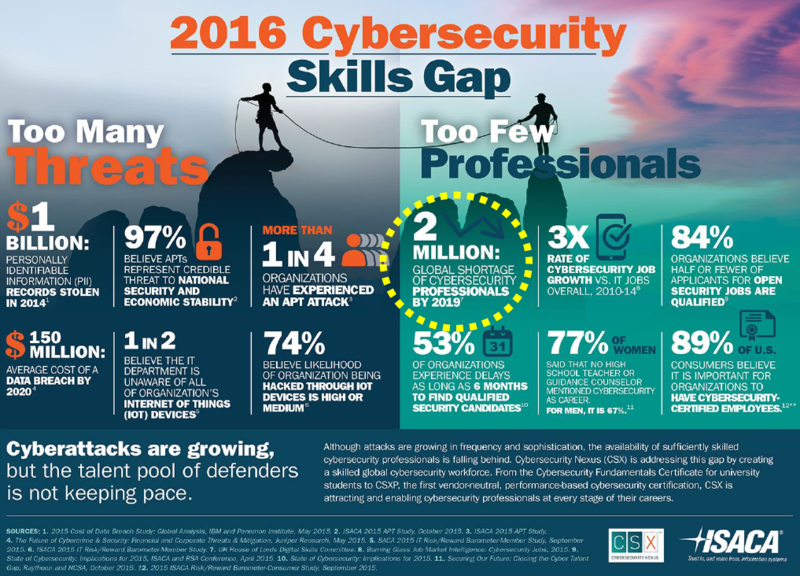 The results echo a report by ISACA (pic 4b) who say that by 2019, the global shortage of Cybersecurity jobs will reach 2million (link here please). Cybersecurity also has 3x the rate of growth versus IT Jobs overall. It’s clear that Cybersecurity is in demand. 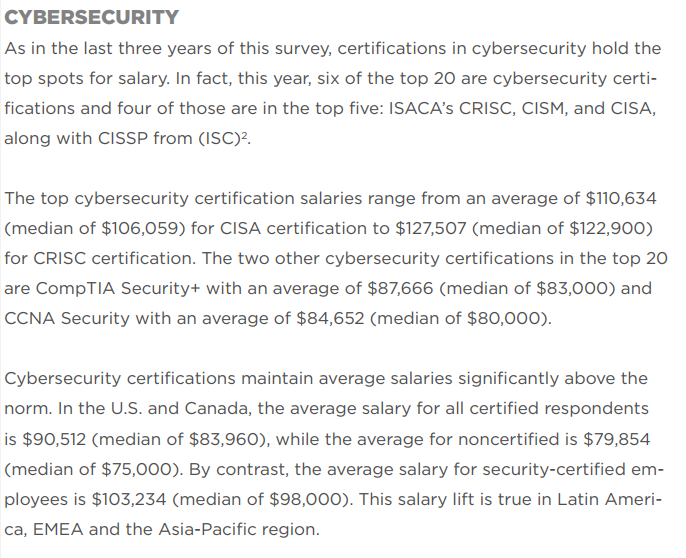 What areas within Cybersecurity are highest-paying? So how do I get into Cybersecurity? 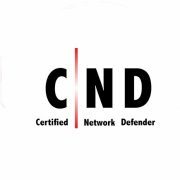 The Certified Information Systems Security Professional (CISSP) certification is considered by many to be a leading security certification. If you have the CISSP, it will open the door to many opportunities related to Cybersecurity. 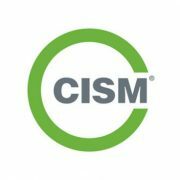 The CISSP should be your goal to work towards, as it is widely recognized and understood. 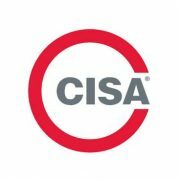 Although the CISSP is the leading certification to aspire to, there are many certifications and pathways to consider depending on whether you seek a managerial, testing, or engineering type Cybersecurity role. Next week we will take a deeper dive into the range of certification tracks available.